33 minutes without any reference. This is my fursona. 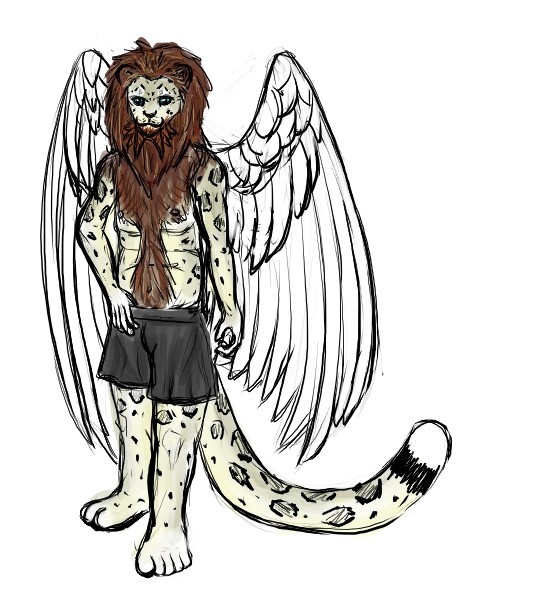 He's a winged snowliopard, that's a snowleopard with a lion's mane. He has thick brown fur down the middle of his torso too, just as real lions tend to have.